Since its founding in 2000, eHarmony has facilitated a significant number of marriages in the United States. For proof, just take a look at the site’s success stories. But if you’re new to the site, you may be wondering how long it’ll take for eHarmony to start finding you matches. You don’t have forever to wait, after all. We’ve got the answer to that question and more. Registering for eHarmony takes anywhere from 10 minutes to an hour, depending on how long you want to spend on it. You’re automatically given a free basic membership that allows you to fill out a dating profile, upload photos, and, of course, receive match suggestions. The same day you register, you’ll start getting notifications in your eHarmony inbox (as well as your personal email if you want) about other members the site thinks you’re compatible with. During its matching process, eHarmony takes into consideration your age, location, lifestyle, education, and religious preferences as well as your answers to its 29 Dimensions of Compatibility Questionnaire. After you become a member of eHarmony, the site will recommend potential dates and partners on a daily basis. Then you can view some of their profile and photos, or you can pass. For a lot of singles, the beauty of eHarmony is that the site does all the work for them — they don’t have to search through a user base of millions on their own. 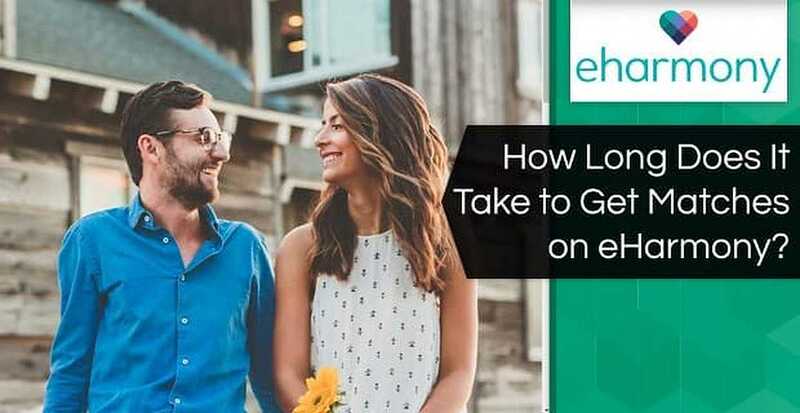 eHarmony has fun icebreakers to walk you through the initial messaging process, which can be intimidating for some people. 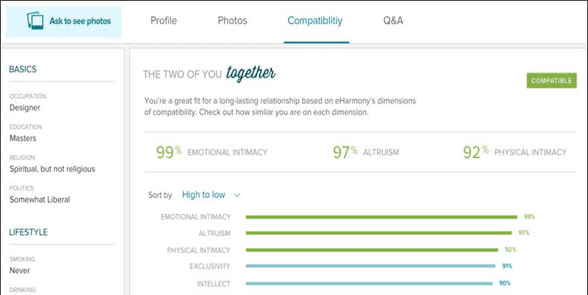 If you’re not receiving matches from eHarmony every day, it could be a couple of things. The site could be going through some technical difficulties, which is rare, or your search parameters could be too narrow. Try doing things like increasing the mile range and taking away some must-haves on your list. It’s worth trying to meet different kinds of people instead of sticking with your type. You really never know who you’re going to fall for. eHarmony provides match compatibility percentages for all of its members, but if you aren’t getting notifications about new matches, try broadening some of your parameters. Not only is eHarmony one of the longest-running dating sites out there, but it’s also one of the largest and most successful. It’ll take you a long time to run out of dating options on eHarmony. After following these tips, if you still aren’t getting enough matches, or if you aren’t getting any matches at all, reach out to the customer support team. They’d be more than happy to figure out what’s going on.